Resource > DRM > How to Convert iTunes M4V to MP4? Summary: Are you wondering why you can’t play and watch the iTunes videos you bought on non-Apple devices? In fact, it’s because the DRM protection on M4V videos. This problem can be solved if you convert iTunes M4V to MP4. This article will introduce the differences between M4V and MP4 and show you how to convert iTunes M4V to MP4 in an easy and professional way. The M4V file format is a video container format developed by Apple to encode video files in its iTunes Store. These M4V files are protected by Apple’s Fairplay DRM copyright protection so can only be played with iTunes on authorized computer, iPad, iPhone and iPod. MP4 is a multimedia container format most commonly used to store video and audio. 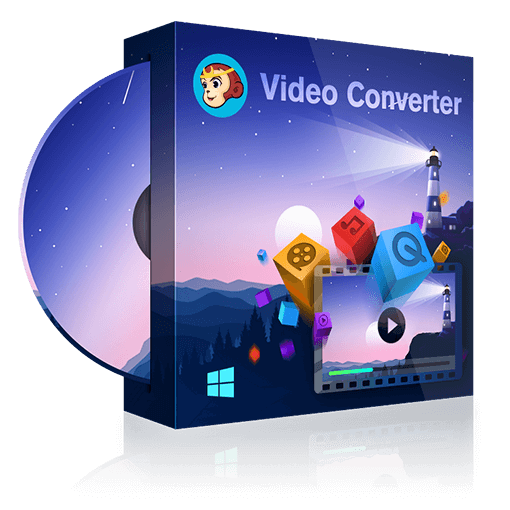 It is universally recognized and supported by nearly all video players and hardware devices like iTunes, iPhones, Media Player Classic, Xbox, etc. All the iTunes videos including movies, TV show, music videos are DRM-protected M4V videos. Fairplay DRM copyright protection prevents you from playing these iTunes videos on any unauthorized non-Apple devices such as Android phones, Android tablets, MP4 and more. Though you bought those videos, you cannot deal with them in the way you like. One way to enjoy your iTunes videos on various devices and media players is to convert M4V files to some common used and unprotected video formats like MP4. DVDFab DRM Removal for Apple comes out to help you remove DRM from your purchased or rented iTunes videos and convert these M4V videos to MP4. 4. Automatically imports the output videos into the Converter/Creator module of DVDFab for users to convert the video into other formats or to make a DVD/Blu-ray disc. To convert iTunes M4V to MP4, you first need to download and install DVDFab 10 on your Windows or Mac. You can try the DRM Removal of DVDFab for 30 days, during which period you can convert one DRM protected video and five DRM protected songs or audiobooks freely. Now let me show you how to convert iTunes M4V to MP4 with DVDFab DRM Removal for Apple. You see, it’s really simple to remove DRM from iTunes videos and convert them into MP4 files, right? This article shows you how to remove DRM protection from iTunes videos, but if you want to remove DRM from Apple music or audiobooks, you can go to The Best iTunes DRM Audio Converter to have a look.